Innovator's Suite – The Platform To Present Your Business! The Reeperbahn Festival Conference offers again a platform for companies and organisations in the music industry and its related submarkets – companies and organisations with innovations and ideas that could change the music business. Got a new music-related or music-industry-related business, project, or product? Then don’t miss this opportunity! Secure a presentation slot at Innovator's Suite – Innovations and Ideas for the Music Business and present your idea and company to leading representatives in your specific target group. We’ll provide the perfect setting and infrastructure as well as target-oriented promotion to an international business audience. Previously companies like Noys VR, Audio Network, Tickettoaster, Leoticket, Soundnotation or Groovecat jumped at the chance. Is your business, project, or product a perfect fit for the Innovator's Suite? Then apply now – presentation slots are limited! To apply please follow this link. 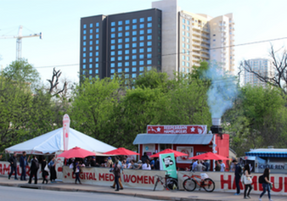 Starting this Friday 9 March, part of the Reeperbahn Festival team again will set out for Austin, Texas. Meet the Reeperbahn Festival team to find out more about our latest projects such as NYC Edition or ANCHOR - Reeperbahn Festival International Music Award, at the Reeperbahn Festival Showcase on 15 March. We will also be available on several days for burgers and beer at Downtown Burgers (503 East Cesar Chavez Street), presented by the City of Hamburg, or at Barracuda (German House, 611 E 7th St). Find all details on dates and places to meet up under the following link. 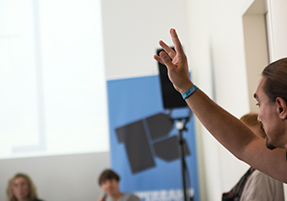 Would you like to give a talk or present a project at Reeperbahn Festival Conference this year? Then use this chance and submit a proposal by 30 April 2018. We are looking for topics that address current challenges and developments in the international music industry and fit into at least one of our thematic tracks. Additionally we’d like to ask for contributions to this year’s special thematic strand titled “Why Europe?”. Amongst other things Reeperbahn Festival will provide full accreditation with access to all 900+ concerts, arts activities, and conference events. Interested? Get more information on the Call For Papers here. Reeperbahn Festival will take place from 19 – 22 September. Purchase your Reeperbahn Festival Conference Ticket online at the Spring Rate for only €182.00 instead of regular €245.00 (plus 19% VAT + sales fee) and enjoy four days full of fantastic events. Get your registration here!